The vase and candle light Bosco are blown into a mould of pear tree bark. 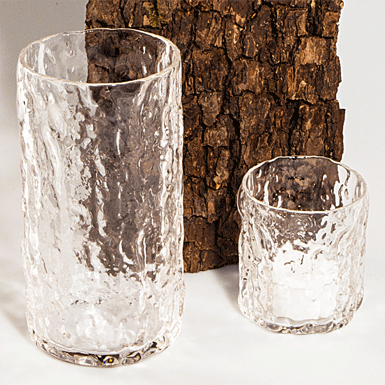 This creates the distinct structure on the glass accompanied with burn marks and oxidation bubbles which makes each piece unique. Blown into mould. Smoothly flamed rim.